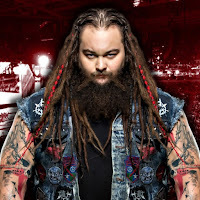 Aside from making a surprise appearance at last month's WWE Starrcade in Cincinnati, Ohio, Bray Wyatt has remained off the radar since disbanding from his tag team with Matt Hardy. Back in September, Hardy finished up his last in-ring appearance to take some time off to heal up. Wyatt has also been off WWE TV since September when he and Hardy lost to The Revival. Wyatt's Starrcade appearance was to replace the currently injured Braun Strowman to take on Baron Corbin, defeating him not once, but twice that night. Even though WWE had a one-hour special the next night on the WWE Network, his appearance wasn't mentioned. Over the weekend, Wyatt apparently wiped his Twitter feed clean and tweeted out: "Today I am someone different. Today I have finally become who I really am." "While mysteriousness is usually a part of Wyatt's tool belt, the message does pose many questions. What could this dispatch mean for Wyatt's future? How will this impact the Raw brand? When should we expect this 'different' Wyatt to emerge?"